Located in the picturesque village of Pal in the valley of Masana. Pal is one of the best preserved rural joint Andorra and is part of a special plan for the protection of traditional architecture since 1997. Ancient village house, renovated retaining the rustic mountain appearance, maximum capacity of 09 pax more possibility of an extension. Distributed in a ground floor with access to the street and 4 floors with kitchen with hob, fully equipped with fridge, oven, microwave, dishwasher, living room with fireplace, TV, Internet. 4 Bedrooms distributed in the top 2 floors, the first with 2 double rooms and one with 1 double and one with 3 beds all equipped with cupboards, features 1 fully equipped bathroom per floor and cradle, no garage if parking. 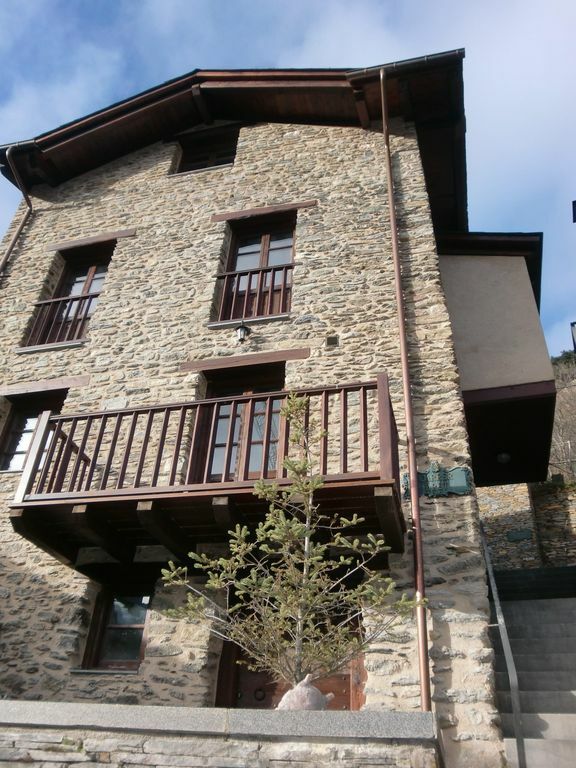 Garibaldi vella House is located just 4 km from the mountain resort Arinsal Pal (EMAP) where you can practice many sports, winter is a great ski and other activities related to the world of snow. In summer many other activities such as hiking, horseback riding, mountain biking, bike parck, quad biking etc. We are also near a pitch & put, called The torrent you are within 2 km. We have a bathroom on each floor, one has a bath and shower and the other has a shower. Hemos estaso super a gusto en la casa, no le falta ningún tipo de detalle, todas las habitaciones calentitas, mucha leña para la chimenea. Y todo muy limpio. La casa esta muy bien muy bonita y bien equipada, con radiadores en toda la casa y chimenea, muy bien aclimatada, camas comodas y grandes. Cerca de las pistas de ski de vallnord, el propietario muy amable y atento, responde enseguida a tus preguntas. vella garibaldi house is situated in Pal, a village west of the principality of Andorra 1560 meters, its orientation is perfect with the maximum hours of sun and sheltered from the cold air from the north, the landscape is stunning, spring and summer i green fields trees is magnificent, the different shades of autumn deciduous trees have 1000 colors and the spectacular winter white blanket of snow covering the mountains and especially the magnificent direct view to the station Ski Pal.